My mom snapped some photos while we were out and about this weekend. They might be the best maternity photos I have from this pregnancy. 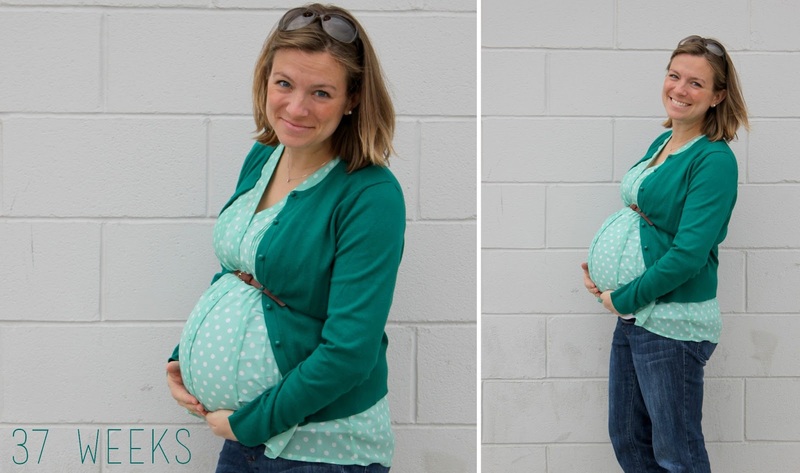 Plus, I was super excited because my non-maternity stitchfix top actually fit! 1. you must be (or become!) a member of the Influence Network. 3. in your post, include the following things: A photo of yourself that you love. Three get-to-know-me things. One valuable thing you've gained from The Influence Network. // I am 37.5 weeks pregnant and oh, so ready to welcome my second son into our itty bitty DC apartment. My family will literally be living on top of each other but we wouldn't have it any other way. We are so grateful that God has blessed us with two boys. Now we just can't wait to get to meet the little guy! // I am an organized hoarder. I like everything meticulously sorted and yet I cringe when considering throwing things away. I have photos from high school and middle school in our closet, every christmas card we've received since 2006, and all of Behr's art projects from daycare. Each of these items is organized by date or size accordingly. we are virtually the same. I love it! 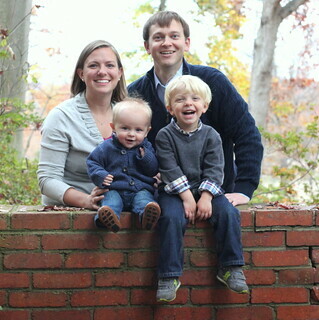 I also live in the DC area ( Northern Virginia) :) I have two boys(3 years and 1 year). It's nice to see other boy moms out there! oh yay! I hope you guys are enjoying the snowfall this morning! ours is turning to slush as soon as it hits the street here in the city. I love you and the way you write. I was laughing out loud a little bit reading about your food identity crisis. I say you win as cutest pregnant lady. Thanks for being willing to co-host! thanks dear! p.s. I think you would feel the need to purge my pantry if you ever came over! Organized hoarding! So true of me too. I have the most beautiful notes from some of my high school science classes that I am sure I will never, ever part with. Ah! A blessing and a curse. you are so cute and so pregnant and i love the idea of you all living in a small DC apartment! so cute. i have a slight hoarding problem but not organized (eek). i refuse to throw things away and it drives my husband nuts! also i was laughing reading your food identity crisis. i am so the same! we will go out to eat and will order a cheeseburger with steamed veggies on the side! hahaha. another thing that drives my husband crazy. lol. gotta keep the diet balanced, no? although i am waaaaay late in doing so, congrats on your second one! two boys is bound to be lots of fun! Also an organized hoarder. And I also haven't shaved my ankles in ages. Too many chances I'm going to become a bloody mess. I'm also straight lazy. Yay for being 37.5 weeks along! I hope the days fly by until you meet your little guy! Oh girl. I am the same about food. Organic + fresh and local as much as I can. But there's just those few things that are too tempting to resist. :) Love that picture of you, by the way - you're just glowing!! Wow! 37.5 weeks! You look awesome! I like the term "organized hoarder" though I am clearly a purger - if it aint nailed down or being used regularly, it is outta here! LOL! Congratulations on being 37.5 weeks along! So glad to get to know you better. Yeah. We're opposites. I LOVE LOVE LOVE throwing things away. It makes me happy. haha in fact, when I go to clean, my husband has to give me "out of bounds" zones so I don't throw his stuff out. Love you girl! Hope to see you at the conference again this year!! I love EVERYTHING you wrote. Seriously. Can we be friends? ok...the cookie thing. A few ways (my girls are 10, 14 and 16). First of all if you like them cold...I like all sweets cold...put them in the back of the freezer. Seriously, what kid ever goes to the back of the freezer? Then, when your desire for a cookie arrises (mines usually right before dinner, go figure) pretend like you are looking for something in the freezer and stick your head all the way in. Grab a cookie....You've got to perfect the eating a cookie in one bite but it will be worth it! I keep forgetting that you live in DC! My husband feels called to move out there someday, so now I know who to run to for advice on living in the DC area with a family. ;) You are glowing and I LOVE your belly. I'm super excited for you to meet your little guy soon! oh dear. the food the. I hear you, girl. I love fresh produce, love to eat at restaurants that use local, in season food, and long for the days when I can afford organic everything, but then I find myself in the McDonald's drive thru on my way home from Costco. I'm just a walking paradox. I seriously loved this post. I laughed through all of your crazy and perfect descriptions of yourself. Miss you!! you are GLOWING! so thankful to meet you through this link up! and i am the exact same way. i love to organize but hate to throw things away. so maybe i'm an organized hoarder? haha. hahaha your food one is so me. GIVE ME THE BURGERS AND FRIES but sprinkle some chia seeds on that oatmeal k thanks.